There is a new Reuters article on what is going to happen with EU perfume regulation, and I found it interesting for reasons other than the usual repetition of how oakmoss is going to be banned. What is significant about the piece to me is what certain perfume houses said bluntly, what others did not, and the tonal shift amongst some industry leaders. So, I’m going to spend some time analyzing how various perfume brands are reacting to the EU proposals, now versus the past. In terms of actual regulatory news, the Reuters article talks a little about the small 90-day window for public consultation which just ended on May 14th, and the next steps in the legislative process. I’ll cover that, too. planning on completely banning oakmoss, tree moss, and HICC, a synthetic that replicates the smell of lily of the valley (or muguet). deliberating on what sort of perfume labeling should be required. Now, all of this is the exact same situation we faced when I wrote my earlier piece back in February of this year, but part of what the new Reuters article talks about is the public reaction to those proposals and the results of the consultation window where the EU sought opinion from those in the industry and its citizens. The article is called “Perfume industry braces for tough new EU rules” and was written by Astrid Wendlandt and Pascale Denis. It also talks about what the next steps in this process will be, but I found it interesting primarily for what I think it reveals about the various perfume companies and industry leaders, like Frederic Malle, Chanel, and LVMH. Frederic Malle said he was forced to reformulate about a quarter of his scents due to the upcoming EU regulations, leading to extra costs – but costs which he found difficult to quantify as they also represented time invested to rework the formulas. “It can take more than six months to reformulate a perfume, and a minimum of some 30 tests … and this is precious time that cannot be spent on creating new perfumes. So to protect a small portion of the population, we are making the rest suffer,” he said. Such mosses could be found in Chanel’s No.5 and Dior’s Miss Dior but the brands have been working on using altered versions, stripped of the molecules atranol and chloroatranol, regarded as potential allergens by the EU. “Adapting is a challenge but it is precisely the talent of our “nose” to be able to preserve the qualities and olfactive (scent) identity of our perfumes while also taking into account new regulatory constraints,” Chanel said in an e-mailed statement. That’s all Chanel seems to be willing to say on the record, which is consistent with prior articles where they have either refused to comment entirely, or the reporters have implied that Chanel doesn’t want to talk about what it’s doing to its perfumes in response to the EU situation. Hermes as well as Dior and Guerlain – [the latter 2] both owned by LVMH – have also been preparing themselves for the new rules by progressively changing their formulas. LVMH, which owns Dior and Guerlain, and Chanel are lobbying Brussels to protect their perfumes, many of which were created decades ago. “It is essential to preserve Europe’s olfactory cultural heritage,” LVMH told Reuters in an emailed statement. What a difference. Before, we had an industry leader demonstrating a willingness to fight and telling journalists that it was lobbying Brussels in order “to preserve Europe’s olfactory cultural heritage” against the proposed EU regulations. Now, we now have the exact same company saying that it is the European Commission’s approach which “preserves Europe’s olfactive heritage.” There is a night and day difference between those two LVMH statements. 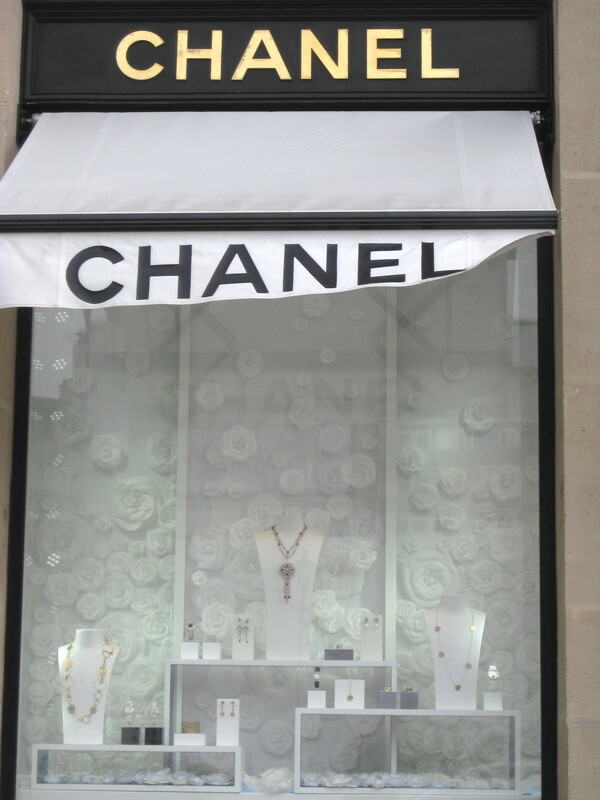 Chanel’s jewellery window at Le Place Vendome. Photo: my own. I think that is the only explanation for why some brands refuse to publicly discuss the EU changes at all. Consider Chanel’s bland statement on how its noses are talented enough to compensate for the total oakmoss ban in its most famous fragrances, and then compare it with Frederic Malle’s outraged bluntness on the complete idiocy of the situation. 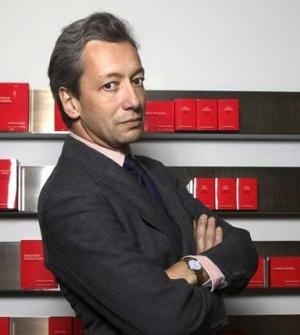 Do you think Frederic Malle doesn’t have the most talented noses who could also deal with the oakmoss situation? He does, but he’s willing to publicly stand up for the perfume makers in this battle perhaps because his company is not a multi-national conglomerate that puts out everything from skin care to fashion and expensive diamond jewellery. Chanel declined to comment on whether it has ever changed the formula of its world-famous perfume, as did Guerlain, Dior and luxury brand Hermes, which all make high-end perfumes using natural ingredients. “No comment” in this context pretty much speaks volumes, if you ask me. I’ve seen the same divide in article after article. Frederic Malle is consistently the most blunt and critical; LVMH (owner of Guerlain and Dior) is never critical but is usually quite direct about its views of the EU regulations; Chanel sometimes makes a rare, always bland statement that never attacks IFRA or the EU, and is never about anything of any significance whatsoever; and Hermès lets the other luxury manufacturers fight its battles. L’Oreal, however, already uses many synthetic ingredients in its perfumes and is thus keeping a low profile on the issue, industry representatives said. 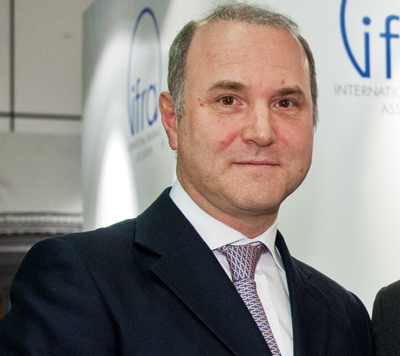 Other companies making perfumes on an industrial scale for luxury brands, such as IFF, Givaudan and Firmenich, are less concerned about the SCCS proposal because they can rely on synthetic materials and make new perfumes using them but the restrictions, if enforced, would force them to reformulate many of their scents on a scale never seen before. Givaudan and L’Oreal declined to comment for this report. [t]he consultation triggered more than 200 responses from industry players, consumers’ associations and researchers, which the EU said was a relatively high number. “This has stirred quite a lot of passion,” said Hudson of the European Commission. Then, in August, a proposed amendment of the 2009 Cosmetics Regulation act with the new rules is expected to be sent to individual EU member nations. In September, a final version might be sent to the overall EU Council and Parliament. At that point, there would be 3 months in which the governing body or individual members could oppose it. I assume at the end of that time, roughly in December 2014, the whole thing would come to a final vote, but I’m rather hazy on how the EU legislative rules work. The bottom line, however, seems to be that January 2015 will be the start of a different perfume landscape. The regulations will also require perfume makers to inform consumers about potential allergens contained in their products but it has not yet decided how this will work in practice and how many of them should be labelled. It has raised the number of ingredients that must be labelled from 26 to more than 80 and is looking at ways to allow perfume makers to provide information about them on the Internet or through smartphone scans to avoid having to cram them on the package. 80 seems like a lot, but it’s a little less than the 100 which the Advisory Committee initially suggested a long time ago. What always amuses me about the labeling situation is what happened in 2005 when consumer groups forced an EU amendment requiring perfume companies to list 26 potentially allergenic ingredients on their bottles. According to the old Reuters piece, the perfume companies did so… in Latin! Most perfume brands are reluctant to label their products. Unlike artists and writers, perfume creators have no intellectual property rights to the fragrances they compose for big brands, and so perfume brands fight hard to keep their formulas hidden. Of course, it’s always possible to ascertain the ingredients in a particular fragrance by putting it through highly specialised machines that will detect not only the various elements, but the proportions thereof. That’s how cheap copies and fakes are already made. Yet, obviously, things become much easier if the full list is provided by the company itself under mandate of law. The proportions may not be there, but everything else would be. If perfume companies are going to be forced to label their products down to the smallest minutiae, it seems only fair that parallel legislation be pushed through to confer intellectual property protection at the same time. Unfortunately, I haven’t heard of any such proposals. If any of you have, I’d love to hear about it. 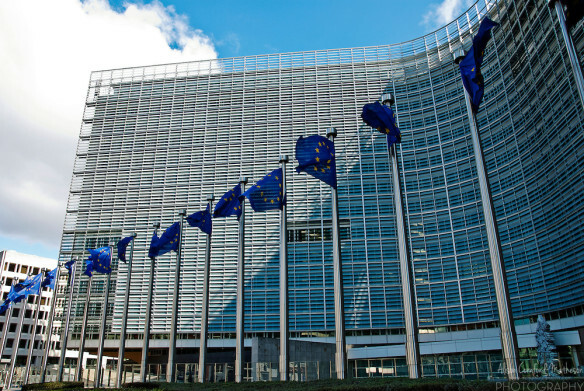 From the standpoint of the individuals fighting on behalf of the art of perfumery, 2,500 signatures cannot be overlooked in Brussels or dismissed as “insignificant”. Moreover, the campaign is ongoing and additional signatures will be collected after the petition is submitted. “The issue will not go unnoticed in EU everyday routine”, Foerster foresees. “We’ll continue to buttress our point of view with more and more signatures. The only thing that will stop us is if the commission acknowledges our position and thus revises the bill in an acceptable way.” Accordingly, signatures will continue to be collected at http://www.parfumo.de/petition – in favour of perfume and against overregulation. 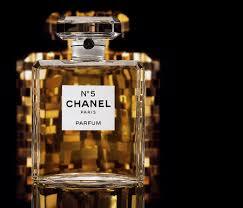 In the meantime, Hermes, Dior, Guerlain, Malle, and many others are already changing their perfumes. Over in the Middle East, it seems that IFRA/EU-like regulations are going to be adopted in places like the United Arab Emirates, with ripple effects already impacting Amouage’s production of its attars. By one estimate, over 9,000 perfume formulas are going to be changed when this is all over, if they haven’t been already. In my opinion, that is probably a very conservative number, in part because it comes from the agenda-driven IFRA group. Given that there are well over 1,000 new fragrances which hit the market each year and the significant role of the 9 key ingredients which are being targeted for reduction, I suspect that overall figure may be higher. In short, 2015 may herald a new year in more ways than one. This entry was posted in Chanel, Frederic Malle, IFRA/EU Perfume Regulation, Perfume Industry, News or Trends and tagged EU Perfume Regulations, EU perfume restrictions, Frederic Malle, IFRA, IFRA EU, oakmoss restrictions, Perfume labelling, Perfume regulations by Kafkaesque. Bookmark the permalink. We will be left with loads of mariah Carey scents, and the truly terrible Britney Spears scents. Meanwhile Creed had to discontinue Irisia (a personal favorite) because it was so full of oakmoss and iris that it could not be changed. I don’t want a world where there is no Irisia! If you don’t like it, don’t wear it. Who is making money from all these changes? Who is getting sick from fragrance? The money trail is a very, very murky thing, in my opinion. It’s certainly NOT as easy as saying that only the aromachemical giants stand to gain. There is a big discussion of the money issue in my February 2014 piece on the EU regulations, both in the post itself and in the comments, if you’re ever bored and want to read it. As for the oakmoss, I would dearly love to know how much is the new procedure used by Guerlain for its Mitsouko as well as by other perfumers — like Bertrand Duchaufour for MDCI Parfums’ stunning, baroque oakmoss chypre wonder, Chypre Palatin — where the problematic oakmoss molecule is removed. What is left is a very authentic-smelling, true, oakmoss chypre, at least if we’re going by Chypre Palatin. (I haven’t smelled the newest version of Mitsouko that is said to use the same procedure). 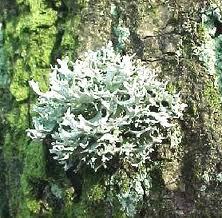 That process would significantly roll back the tide for oakmoss perfumes, but it cannot be cheap. If Creed were to have used it, they probably wouldn’t have had to discontinue their Irisia, unless something else was driving the decision. Given Creed’s high prices, it’s not as though they couldn’t afford it. Yeah, I don’t know Carole. Making $ off regulation is one explanation (look at the banking industry in the US for confirmation). Stupidity is another. LVMH and others may be pointing a figurative pistol at their most valuable brands and screaming ‘Stop me Before I shoot Again!” There is precedent for that move, too. I totally agree! Mr. Frederic Malle’ truly has a battle on his hands and other perfumeries like him because his business is based only on perfumes. Chanel doesn’t want to talk about the EU Regulations because they are afraid it somehow will resonate into their other ventures within this company, cosmetics. So, they are playing it safe by being vague however not upfront with their customers. When they start seeing the decline in customers, then they will talk. What a bunch of wusses, except for Monsieur Malle who founded HIS company in response to the sad state of the fragrance industry. As someone in the <.0001% that the IFRA is trying to protect, I haven't avoided any perfumes due to ingredients (except the ones I don't like – I am looking at you LOTV) and learned the best way to evaluate and apply. Yes, “bunch of wusses” sums it up rather nicely, if you ask me. I am not a huge fan of Monsieur Malle’s creations and their aesthetic style, but I have great respect for him as a person. That respect increases more and more with every comment like those highlighted here. He’s the only one with any honesty and guts amongst the big European perfume houses. The chap from The Different Company also has spoken out, but he’s not really the icon that Frederic Malle is. hahaha! No accounting for taste! I love love love Dans Tes Bras. Desert island scent for sure. Would you be OK with a warning label on the back of the box? As a person who is exposed to one of these ingredients, don’t you think the government should step in and remove them from your life? Even if it impacts a few retrogrades (like me)? There is no way Hajusuuri would be in favour of the government removing any notes in perfumery when a simple label or common sense avoidance could be used. She was not implying in any way that there should be perfume restriction. I was pretty sure of Hjusuuri’s views when I posted the comment. And I am sure you are right about it, kafka. But I have been ‘exposed’ too often in the last 20 yrs or so to the 1 in 100 who wants the 99 to do without out of deference to their, or their child’s, sensitivities. With those folks, it is about wielding power over others. Anyway, enough from me on this sorry topic. Back to Memorial Day. I am not advocating banning substances…that would be just like demanding mango be removed from mango salsa …or making Baba Ghanouj without eggplant. I’ve learned to read labels and avoid allergens. If I don’t know, I ask, or, request that the chef to cook without x. For perfumes, as I mentioned, I learned how to apply to avoid allergic reactions (absolutely no applying in any concentration on skin, immediately washing if I get perfume oils on my fingers and telling SAs NO, I do not want to try anything on skin). LOL, yes, poor Hajusuuri has some definite Lily of the Valley trauma. I still don’t understand why labeling is not the complete answer to all of the alleged scientific concerns? Yet another reason love Frederic Malle perfumes: “So to protect a small portion of the population, we are making the rest suffer,” he said. M. Malle nailed it, didn’t he? Regrettably, this is the way of all government in 2014. Worldwide. Ironically the siblings of the aromachemical companies, the ones developing genetically modified food like Monsanto are creating product that may well be causing the spike in food allergies in kids. I really don’t recall THAT big of a problem when we could identify what we ate and not have weird inedible ingredients in breads and other foods. Which brings me to my conclusion; I don’t think it has to do with allergies at all, it has to do with profits. Both industries profit from introducing synthetics into fragrance and food. The rest of us suffer. Thank you for the update, Kafka. What a damn sad state of affairs. To me it is a total outrage that guns aren’t even regulated that kill people yet oakmoss which might cause some allergens is going to be banned. It shows just how corrupt the governments in the world have become. Obviously, there’s more money to be made in munitions than perfumes. Guns, cigarettes, and perhaps the closest, analogous parallel of all: nuts. Nut allergies actually kill people. To my knowledge, actual death has not ensued from perfume application. To use an analogy that I’ve used before, EU perfume regulation is akin to demolishing or severely limiting universal access to the Eiffel Tower simply because some people passing by the structure may potentially, possibly, maybe have vertigo. I second that analogy. Where is the sense in pushing for the synthetic materials over natural!!! I so agree with Mr. Malle’s statement and all the responses to this post. If people are allergic don’t wear it. Many people are allergic to nuts, oranges, etc. and just avoid those foods. It should be the same with fragrances…making everyone else suffer because a small group of people are allergic is ridiculous. At this rate, I’ll be saving my money for indie manufacturer’s who ignore such idiotic decisions. My very own middle finger towards these darn regulations. Well, I have a feeling this is all about money. Those large industrial perfume companies that have so much research invested in synthetics is probably behind this. Snuff out the competition by making it impossible for them to compete, unable to create appealing synthetic substitutes of essential oils that have been banned. I can’t see any other reason why. In this case, it’s not the IFRA leading the charge, but the EU regulatory commission. But of course, the IFRA is right behind them. It’s helping to justify their existence, engaging them more deeply by adding more scrutiny to their agenda. I do appreciate the need to keep out HARMFUL ingredients, but light allergens? All you need is a label, much the way we have “may contain nuts” on so many processed food packaging. Is it really so bad to have a small disclaimer on the box? The indie and small niche fragrance companies will probably see more business, which is a good thing for them, but their fragrances tend to cost a lot more per milliliter than designer fragrances. Will the masses remain stupid and blindly accept these changes, even if they notice a change? Or will they go along like sheep, thinking that if the fine looking bottle of fragrance has the name CHANEL it MUST be good, no matter how it smells? I’m disgusted by this whole mess… and now I’m focused exclusively on vintage fragrances. I hope more people abandon the current production fragrances from the large designer houses, so they feel the economic pinch from their lack of wisdom. First, welcome to the blog, Voicemint. Second, I honestly think the money trail is murky. I really do. Chanel’s business and/or the Wertheimer brothers are said by Forbes to be worth roughly $19 billion, and I suspect that’s a conservative estimate just given how secretive the family is. LVMH makes…. a fortune from Guerlain, Dior, and the rest of its luxury brands. Hermès is no slouch either, even if their hold of the perfume sector is tiny in comparison. When you also throw in Robertet’s estimated $100 million loss (their own figures), and the economic damage suffered by such rarely considered groups as the city of Grasse and all the perfumer producers in various regions (Haiti, Grasse, wherever Chanel and the like have their big plantations), then the figures on the side of the aisle OPPOSITE to Givaudan and its ilk are pretty substantial. I would venture a guess that there is more money on that side of the equation than there is amongst the aromachemical giants who would benefit. Now, perhaps they are not organized with sufficient efficency, coherency, or unity to do much about things, but if we’re talking about pure monetary benefit, when you put everything together, NON-regulation should win out. There is no doubt in my mind that the split in the perfume industry between the various big companies is benefiting IFRA, Givaudan and the like, but WHY the other side isn’t uniting is really beyond me. I’m sure if they did, the EU could not ignore them, particularly if the financial consequences to regions like Grasse were highlighted. I mean, poor Grasse is turning to UNESCO for World Heritage protected status to help against the impact of the EU regulations! But instead of flexing their serious economic might, companies are fiddling while Rome burns. I find it incredibly frustrating to watch. I agree with you about the murky money trail and while I think it has something to do with it (because this is business after all) I’m not sure as to where. I have wondered if it might be something to do with a penalty “fee” – if you don’t comply with the regulations you will be fined X amount. Although again, as you say, these are multi billion dollar companies – the fee would have to be substantial to make a severe dent. I’m so frustrated with the lack of support Msr. Malle is receiving and wonder if its a case of “let’s not worry about whether the small potatoes get fried – we’re not laying our reputation on the line to stick our neck out and cause a fuss.” This reputation aspect might be what is driving them – as pointed out, Chanel et al probably don’t want to be viewed as the bad guys who cause customers to “get sick” from their products. So in order to remain squeaky clean, they will comply with the regulations, because ultimately not doing so *would* affect the bank balance. While they may lose customers who don’t want to buy their reformulated dreck (I’m glaring at you, YSL) they could lose many more if they were naughty boys who don’t seem to care about their customer base. Don’t get me started. Oh, all right – I’m started… While I am in the camp that supports labeling perfumes as a solution to this abominable situation (as I can see no other possibility that would make all involved somewhat satisfied, and I use the term “somewhat” very loosely), I’m skeptical as to exactly how effective this will be. In reality, how many “regular” people (as opposed to perfume nuts – there’s that word again – who have more than the basic “oh that smells nice, I’m going to buy it” gene) really know what it is they are allergic to? Unless someone has gone through a pretty intensive testing process involving said perfume, do they really know if it’s linalool, eugenol, cinnamyl alcohol, benzyl benzoate etc etc that they’re allergic to? I’m not saying that there aren’t people who *do* know enough about perfume and related allergies and have researched this, but the average Jane/John Doe??? I have yet to hear/read any comment from someone who is allergic to perfume that has said “Oh yes, I can’t wear X because it contains cinnamal or citral.” It’s not enough for me to accept that someone just blithely says “Oh yes, I’m allergic to perfume – but I don’t know what it is that I’m specifically allergic to, so your favorite perfume has to be messed up to cover all the possibilities so I’ll be all right Jack. You – not so much…” So my question is, how would they even know which ingredient on a label was “The One” they were allergic to? In that case then, wouldn’t it be simpler for people with allergies to not wear perfume at all? Then the industry wouldn’t have to label – and more importantly, they wouldn’t have to enforce restrictions because people would (gasp) act like sensible beings and make choices for themselves. I love it when you “get started” and have a rant. 🙂 I hope you never stop sharing. It’s strange how the EU follow a much strickter approach for allergens in parfumes than for allergens in food. If they’d follow the same principle then every single food containing peanuts should be banned – and not just labelled with the warning.Not to mentione milk (lactose). See this is why I really truly believe this is happening – to line the already deep pockets of the industries that profit from genetically engineered food and aromachemicals in fragrance. It’s more profitable for agribusiness to produce genetically modified food. If aromachemicals are cheaper, Chanel, YSL et al will reap more profit from the regulations because they don’t have to pay to harvest the real thing. And the average fragrance wearer, sadly, probably won’t know the difference. They’ll be paying the same or higher prices for something that’s even cheaper to produce. From what someone told me last week after visiting Liberty, a number of his scents already seem to have been reformulated for the worse, so it may be too late for your Iris Poudre and Bigarade. Please tell me what can we do to change this. I always wore Estee’ as it lasted until next day and made me fee cam and happy not to mention the wonderful response from everyone I came in contact with! What can we do to change this? I went to get new bottle and I cannot…I am so sad…I love a good long lasting stronger perfume. It helped me sleep.. Helped the chronic pain in my body…lifted my mood..I always was asked what I have on and where to get it! Thanks for this in depth analysis. Thank you, all, for your comments. I really am almost speechless about all of this at this point. I’m sure stupidity and fear of litigation are big components. Money is in there too, I’m sure. . .Whatever it is, stupidity is my biggest takeaway. In my community, there are signs that read “Fragrance Free Zones” in all public buildings, most notably (for me) in two art centers. It makes my blood boil. When I try to talk about it with others, you’d think they think I’m Satan’s spawn, wanting to discuss “perfume – a trivial materialist concern” (and something that you’d think would kill them from getting a whiff of). Not one person realizes that scent/perfume/fragrance is an art form, or at the very least, part of our cultural heritage. But, to make matters worse, every single person who freaks out about their so-called chemical sensitivities and is horrified by scent is wearing scent: shampoo, conditioner, hand lotion, face cream, dryer sheets, laundry detergent, dish soap, cleaning fluid. . .etc etc etc. A few (a very, very few) buy “unscented” everything. Grrr. I promise myself I’d just say “great post. thanks for the continuing in-depth analysis” but this all makes me angry. Really angry. Really, really angry. Why don’t we just outlaw EVERYTHING? Force people to take nutrition in pills and live in hermetically sealed buildings so we are safe from all the horrible threatening possibilities out there? That would solve it all. I can understand your feelings, especially about those who complain about fragrances but wear so many scented things in other forms. My sister is one of those who truly does suffer and have allergic reactions. Everything she wears is scent-free, she has to pore over makeup ingredient labels, can’t wear most of them, and can’t even use hair dye. She has never once asked me to stop wearing perfume, though she has asked me to lessen the quantity if I’m going to be seeing her and she avoids giving me a hug. (Sometimes, if I sprayed on something very powerful, she will avoid sitting right next to me.) That’s it, though. She has never sought to impose her issues onto me, and she finds the whole concept of banning certain fragrances or imposing massive restrictions to be very odd. Because NORMAL people simply make their own, common-sense adjustments to perfume allergies or sensitivities. You have a definite point about warning labels being alarming to some people, never mind confusing. (I snorted out loud at the makeup blush with the “gluten-free” sticker on it!) The thing is, that is something which pertains to people’s reactions to the labeling, and people’s reactions is not the real focus of the issue. What I mean is, the point of labels in this context is to prevent further draconian measures for the manufacturer, not really to inform the public. There isn’t a TRUE, genuine, wholesale issue of perfumery causing widespread health problems, and the scientific research on such problems is both limited, iffy, and based on a minute sample base of something like a mere 26 test subjects. In other words, there isn’t an actual public health crisis where the public genuinely needs to be properly informed, so that the labeling and people’s reactions to them would be an issue. Personally, I don’t care less what the public thinks about labels on perfume boxes. People don’t read the ones that currently exist. Who cares if they get more freaked out? Normal people who have perfume allergies simply don’t buy perfume to begin with. But if warning labels can prevent further draconian measures about perfumery as a whole, it’s the best answer. The real problem is, as you noted, that the uninformed public blames everything on perfume while merrily going on their way using a ton of scented products, products with massive amounts of synthetics that are far stronger than anything being warned about here. So, it really comes down to contradictory behavior, lack of proper understanding, the absence of common sense, and a little bit of mass hysteria fueled by ignorance. I feel fine about my rant! This issue is rich in fodder for ranting!! Good point about “I don’t care what the general public thinks.” So, let them have labels. If that solves this problem, I’m for it. I am always “against” stupidity. But, if doing one stupid & essentially pointless thing helps, then so be it. In short, sigh. Thanks for taking the time to provide a commentary on the various brands’ reactions towards the regulations, I found that highly informative and indicative of where they stand on the matter. And yes, I’m absolutely with you on L’Oreal. Thank you for your update, Kafka. What I do not understand is THE LVMH official reaction and on THE other hand Thierry Wasser saying in public That THE possible restrictions could impose a problem for THE guerlain heritage (not THE fragrance) for fragrances like Shalimar and Jicky. And Habit Rouge as Well, which might have to dissappear all together. 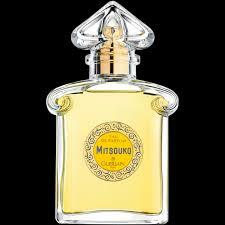 You can check THE Facebook page of Monsieur guerlain for more information. Hè just published this. We all might have to visit THE Guerlain museum one day to be able to scent THE Guerlain classics. I saw Thierry Wasser’s comments in that Monsieur Guerlain post. I think he is simply acknowledging the truth in a way that the public corporation cannot. Perfumers tend to be much more candid, frustrated, and knowledgeable about the problems than the PR flacks and corporate bureaucrats whom I assume draft up LVMH’s public, corporate responses. All the people I know who actually work with perfumes and/or are noses are upset about perfume restrictions, existing and the future ones. LVMH’s corporate officers and paperpushers probably can’t risk that same level of candour, especially given how it could be negatively twisted around, the risks of bad press, and the fact that the company is beholden to its shareholders. I suspect that is the reason for the difference in statements. Ditto to everyone. Sigh. As a perfume newbie you might think my ignorance is bliss, but it’s actually really upsetting to know that a lot of the classics I was hoping to grow into are going to be gutted or even discontinued as a result of these regulations. Thanks for writing about it, Kafka. I appreciate your wading through all of the minutiae (god knows I don’t have the patience for it!) to inform us. I suppose there’s always vintage, but that’s a whole other ball of wax. Yes, vintage is a whole other ball of wax, but given how niche prices are continue to skyrocket, even the pricier vintage stuff on eBay is cheaper, generally speaking. And it’s definitely worth exploring, my dear. It really is. To TRULY understand perfumery now, you have to understand where it came from and the benchmarks of the past. I cannot urge you enough to try to find some minis on eBay of the great classics in vintage form. Vintage Shalimar, L’Heure Bleue, etc. are great places to start, as well as Givenchy’s Ysatis and some others. In the upcoming weeks, I hope to do some posts on a few things like vintage Bal à Versailles, but also more recent things like Femme (post-1989 version), so perhaps that will help. In the meantime, you can look up some of my past reviews for things like Champagne/Yvresse or vintage Opium to see if any of those sound appealing. Oooh, I look forward to those! I have dipped a toe in vintage perfumery thanks to your posts about old formulas, and thanks to eBay and Facebook Fragrance Friends. 🙂 Earlier this year I ordered a tiny (so tiny–the size of my index finger) vintage bottle of YSL Champagne from eBay thanks to your recommendation (and I keep on the lookout for an affordable bottle of Yvresse). Through FFF I’ve been able to get small decants of vintage Guerlains. I guess that’s the way to go, since I’m always so paranoid some eBay seller will rip me off! The oakmoss and treemoss are NOT being banned by the EU. A recent Reuters article on the fragrance regulations that made this statement is wrong. According to the EU Commission and IFRA, the chloratranol and atranol, impurities occurring in oakmoss, are banned, but still allowed at trace levels. This means that the natural moss essences are still allowed. (Many of the essences available today are within the acceptable limit.) 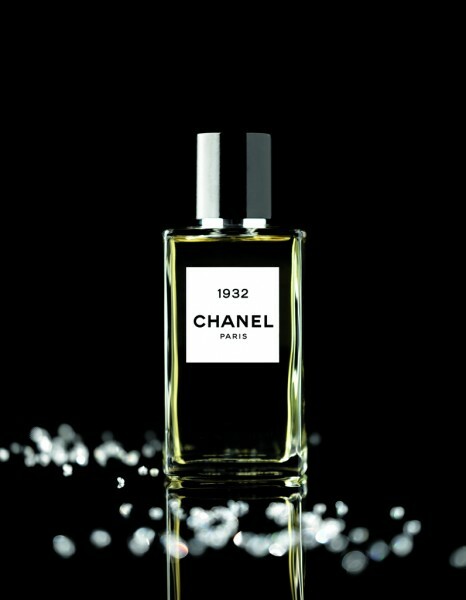 This means that Mitsouko, Chanel No 5 and other mossy perfumes can still be their recognizable selves. This is the situation as of today. If anything changes, I will update. That’s interesting. I’m not quite sure what to make of it, if you want to know the truth. Yes, atranol is one of the big problems, which is why some perfumers have taken it out, like Bertrand Duchaufour with the fantastic Chypre Palatin. It is what Thierry Wasser is supposedly doing to the new Mitsouko version. But other houses either cannot afford the process or aren’t doing it, so to all effects and purposes, oakmoss is out of bounds for them except at the most minuscule levels. The people at Parfumo who are behind the petition have poured over the actual EU documents and IFRA stuff, and I doubt they’d be presenting things as they are if oakmoss were not being banned to all effects and purposes. There may be a technical, semantical issue about specific molecules in question. But I have to rather wonder if the journalist at Reuters who has covered this issue extensively would be writing about things as she does if she were mistaken. If she were, she would have corrected her prior Reuters articles and stopped writing about it in the way that she is still doing. At the end of the day, all of this is still ultimately a question of limits so small that the end result is the same. As of right now, the levels in oakmoss are so minute that any further restrictions would essentially come down to making true chypre impossible. “Trace levels” as Bois de Jasmin says, even now. We’ll have to wait and see who ends up being right on the issue, and what actual degrees are finally permitted. I have to add that I’m not surprised that Chanel would have some sort of vapid response. But, I would be delighted if Chanel finally fell. Though I have a particular bone to pick with Chanel because of Coco Chanel’s sickening history, I think perhaps the big houses have had their day. Maybe the big boys and girls have dug their own graves? Let the small independent and niche perfumers take over! We are learning that small and local is better for the environment and community – perhaps this is true of perfumery as well. Just a thought. Unfortunately, the small independent, artisan, and truly niche perfumers don’t have the money to take over. Andy Tauer has talked on his blog about the serious impact that EXISTING regulations have on him, in the smallest ways, even down to the plastic on his boxes and the lettering he has to use. I can’t remember the exact words he said about what may happen if further restrictions go through, but I have the vague memory that he’s said he may not sell in the EU. Don’t quote me on that, as my memory is hazy as to his exact words or plans, but I do know he was and is extremely frustrated. Sadly, I fear I’m just engaging in a fantasy. But, there are indications that this may occur on a very small scale – “uber-locally” so to speak. Assuming that the Reuters article is factually correct (never a sure thing), all it shows is the pandemic weakness among business leaders when faced with the Orwellian governmental colossus. I’m not surprised, though, because culturally speaking, the EU is even further down the path towards totalitarianism than the US is. Of course, the Euroweenies will regulate fragrances to nonexistence! Why stop at food, self-defense, or speech? They want EU “citizens” to be not only helpless, but deprived of luxuries as well. Look for secret, back-door deals to allow limited runs to keep the EU parliament smelling nice, though. Crony capitalism will rise. I wouldn’t assume too much competence in Reuters, though. Check out Reuter’s involvement with fake Israeli war crime photos as an example of how little their reporters know about their subject matter. Regarding the money, I think you’re right in saying that we may not know the full extent of all that is involved, especially given the beauty industry. Your point about skin care, hand creams, masks, etc., is a good one. When one considers that part of the industry, then numbers will be even higher than if we’re just talking about perfume. No doubt about it. I also appreciate your kind words on the blog. Thank you, and have a lovely weekend, Geco. Thank you for a most informative article on the current situation with the EU bureaucrats and IFRA’s insultingly menial stance. In a world where genetically modified food, not to mention various types of addictive substances from tobacco to alcohol, are allowed to circulate freely (and I am not advocating regulating the two latter ones, please don’t get me wrong), it is blatantly hypocritical to push the said legislation in -purportedly- the interest of consumers. I agree with the arguments put forward above concerning the motivation behind such a move (esp. the financial profit of companies with a stake), yet I wish to point to another factor, one that relates to a certain behavioral culture that has been setting in in the EU institutional bodies for quite some time now. And that is a bureaucratic logic of increasing control over, and regulation of, citizens’ choices in areas that traditionally have been considered as private. From what one reads, also, there seems to be no solid scientific research on the hypothetical hazard posed by the perfume ingredients in question. I do not wish to tire you more. One last question, and please kindly provide an answer: should we set out to stock our beloved fragrances before they change olfactory character? First, welcome to the blog, Dimitris. Ti kannis? 😉 Second, it’s interesting about the point you raise, regarding increased bureaucratic control of the private spheres. I’ve seen that comment raised a number of times in this context by European readers, all pointing to EU encroachment over individual choice in normally private areas. I now live in America, and see a different sort of government encroachment, so I think that the whole world is gradually succumbing to a loss of privacy in one way or another. But I suppose we should leave politics out of it. In terms of your question about stocking up, I don’t know if it would be any use. The problem is, how would you know that what you’re buying has not ALREADY changed??! People rarely buy testers, and unless you test the fragrance or buy something on eBay which has the original date of production, it may already be changed. I’ve been following the EU situation since 2012, and one of my first articles on the blog was on January 1, 2013 about a Dec. 2012 Reuters piece that said that perfume makers were already beginning to reformulate. That was 18 months ago. I think the minute that the 2012 SCCS proposed suggestions hit the news, the minute the extent of the draconian ideas were put forward, many perfume makers had no choice but to consider reformulation. They couldn’t risk not having their systems in place if those suggestions were eventually adopted, and couldn’t be behind the times. So many of them started. Reuters seems to imply that as well. Malle already started, and it wouldn’t have been just yesterday, either. It would explain why, according to a friend of mine who retested a number of Malle classics in London a few weeks ago, several of them like the Vetiver and POAL have *already* been altered, and not for the better. Unless you love the vintage classics and are buying on eBay, some of your favorites may have already changed. I just reviewed a Serge Lutens fragrance yesterday that has been BADLY changed, but I don’t think the EU regulations have much to do with it. In that case, few of the perfume ingredients are any of the EU targeted ones. And it’s not the only Lutens perfume that has changed quite a bit. Some perfume companies simply reformulate because it saves them a lot of money. I don’t know what to tell you, Dimitri. Were you thinking of stocking up on any modern, niche favorites in particular? I’m afraid it may already be too late for some of them, alas. Kalispera, and thank you for your prompt reply and your kind welcoming words. I am very happy to have found such an intelligent, tactful, friendly and genuinely informative blog on fragrance. Your articles are inspirational. What you are writing about the reformulation process having already started is something I have suspected myself, and you have come to verify my fears. Alas, it is probably too late unless, as you are saying, one may be lucky enough to purchase something rare from ebay (was thinking of Bal a Versailles prompted by your article on its civetous / animalic character). About stocking up, I was thinking of putting aside some Guerlain classics (Jicky edp, Heritage edp, and my emblematic Habit Rouge) plus some Caron (Yatagan and Pour un Homme) Also, maybe some Jovoy (Private Label, again, your relevant article!) and Houbigant’s Fougere Royale ……. Also I need your advice on potentially purchasing some Guerlains in extrait de parfum type. Do you think the perfume concentration therein is truly remarkable? are they worth the money? And one last thing (I hope I am not abusing your generosity in posing so many questions). I crave civetous / animalic fragrances, and they have become painfully rare to find (due to legislation protecting animals passed years ago – a difficult issue morally, I acknowledge that, yet I can’t pretend that I have not been missing the overwhelming sensation triggered by the said substances). What would you recommend? Your article on Jicky has made it necessary for me to purchase it in edp form (I need stronger concentrations since most everything I apply wears out so quickly – probably a skin idiosyncracy). I have perused your article on animalic fragrances, yet any direct recommendation would be highly welcome. First, it sounds like you have perfume-consuming skin, just as I do. Poor chap, you have my sympathies. Second, in terms of the Guerlains, I assume we’re talking about stocking up on the vintage versions? If so, then, yes, I think all Guerlains are better in vintage form. The Extraits… I honestly haven’t tried enough to know which ones would be worth the money. I know my Shalimar vintage parfum is to die for with its smoky leather, but the others that you mention, I haven’t tried in pure parfum. I am always reluctant to tell anyone to go do something that will involve a big monetary expense. I don’t like the feeling of guilt which ensues. LOL. I will say that I have never once heard anyone regret buying a Guerlain in extrait form, at least for the *vintage* versions. Regarding the civet and/or animalic fragrances, I definitely recommend that you try Masque Milano/Masque Fragranze’s Montecristo. http://www.kafkaesqueblog.com/2014/02/17/masque-fragranze-montecristo/ It doesn’t have civet, but it has hyrax which may be much MORE intense and animalic than anything in modern perfumery today. Plus, hyrax is completely ethically safe to use, given what it consists of, as you will see from that review. Montecristo is a very impressive fragrance, and I thoroughly enjoyed it, though I prefer my animalic Hard Leather by LM Parfums somewhat more as it’s easier, a bit tamer, and animalic in a different way and with the Mysore sandalwood that I love. But, if I didn’t have Hard Leather, I’d definitely want and wear Montecristo. You can find reviews of both on the blog. I can say from my review of a few La Via Del Profumo scents that when he uses civet, he uses REAL civet. I can’t recall which fragrance it was, but even another blogger noted that the civet was real. I don’t know where he sourced it from and no-one wants to ask, but it leads me to think that all his animalics are the real thing. I think that might perhaps be a solution for you, as well as something generally fun to try. I’m going to try to think of what other animalic fragrances might work for you. I’m drawing a blank at the moment, other than Amouage’s Opus VII with its costus root (a key part of Kouros). On me, that was akin to a peeing lion, but I didn’t like the fragrance for a variety of reasons, including the fenugreek and synthetic elements. I find Opus VII to be harsh and unappealing as a whole, but it is certainly animalic!! Oh, I assume you’ve tried Kouros in vintage form? If not, the vintage version is glorious. The modern one, not. Kouros may be another one for you to consider in your eBay hunt. And since we’re speaking of vintage stuff, I love Chanel’s vintage Egoiste too! Habit Rouge, Bel Ami (my God, Bel Ami!! ), Kouros, Egoiste… all vintage stunners. I hope that helps, Dimitris. Don’t hesitate to ask if you have more questions. Dear K, grateful for your immediate reply and helpful feedback. I will do my reading concerning your suggestions, and yes, Montecristo seems appealing whereas the animalic substances to be added to fragrance (the La Via del Profumo products) look like a great solution to the issue. I know you will be disappointed to know that the Guerlains I wrote to you about are not in vintage form but the ones currently sold in commercial venues. I am only lately getting into the vintage mindset. But I do have some memories of fragrances I bought 20, 25 years ago (Kouros, eg), and my disappointment and frustration over the reformulations is genuine. The reformulated ones seem to evaporate on my skin with no substantial sillage or longevity to speak of. The olfactory standardisation, also, is frankly off-putting. Thank you again for your responsiveness. Will get back soon. How very interesting about the different types of diabetic insulins. It certainly sounds like a potential health risk that is much more worthy of attention than poor little lavender or oakmoss. As for L’Oreal fragrances, I couldn’t agree with you more! I love vintage Champagne/Yvresse, and have bottles of each, but my Holy Grail is vintage Opium. And I will never forgive L’Oreal for what they’ve done to that one, along with so many other great YSL fragrances. They genuinely and truly do not seem to care one bit. I went into mourning when I found out that Yvresse was being discontinued, as perfume can alter moods, it conjures up emotions, places, people, and events in life. 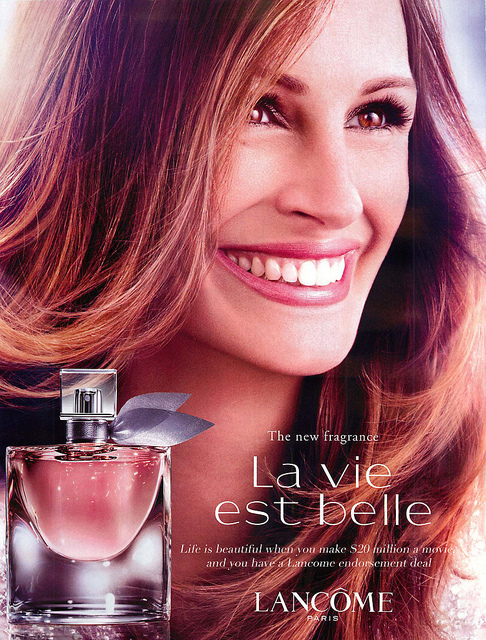 Personally I think it is all motivated by money and control and it is not just affecting the perfume industry. Thank you for your reply, and all the information that you supply. I am truly disgusted with all this EU nonsense and i am also quite disappointed with how Chanel has been so non committal with their responses. I definitely support Frederic Malle and will continue to do so with my fragrance purchases. I have been disgusted with reformulation since 2008 . Great blog – one of the best and I read it always. Hi Mimi, welcome to the blog. And thank you for your kind words on the blog. With regard to the perfume houses’ response to EU regulation, I’m actually more disappointed in LVMH, simply because they started out strong and then did a total volte-face. Quite literally, contradicted their original statements which were so admirably strong and impassioned. Frederic Malle is in a different financial position from those other two companies, but it doesn’t make his stance any less admirable. He deserves the praise for his candour. It’s just a pity that so few others of note have joined him, though I was happy to see Patricia de Nicolai step up recently and be quite blunt as well. If you are allergic, it is your responsibility to screen what you put on/in your body, not MY responsibility nor obligation to go without in order to protect your health! A ban seems like a very narrow minded action – why not issue regulation that require an allergen-free line of fragrances? That way the perfumeries can expand their profit margins by adding a market and essentially selling two products instead of just one. I personally would not like the added chemicals. I prefer natural ingredients. I think the chemicals should be banned. Seems a little backward…. Explains why my favourite French perfume (the only one I have worn for 44 years) now smells different. In its earlier form every single time I wore it, it would transport me back to that magical moment on New Caledonia when I first encountered it on my first overseas trip. Now gone. It’s like losing a best and dearest friend. Quietly eased out of my life like a thief in the night. Stolen by the bureaucrats, faceless creatures with no heart or soul. Thanks for your expose.